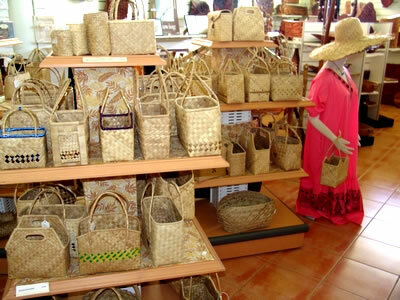 The Ulekdubs Museum Shop is currently the main money making part of the museum and will continue to be an important source of revenue for the Belau National Museum. 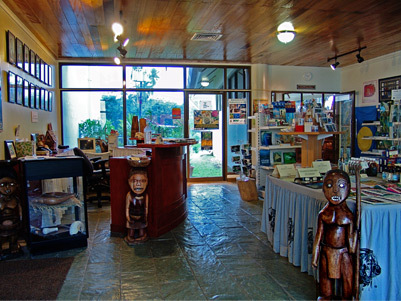 The shop promotes the production of hand-made arts and crafts from Palau and currently offers a wide range of items for visitors to the museum, including Pandanus woven assorted bags, storyboard carvings, wood carving of Palauan money container, coral and coconut shell jewelry, sarongs, Palau-designed T-shirts, local music cassettes, Arts, posters, CD’s, postcards, cards, posters, and stickers. A variety of informative books and videos about Palau and the Pacific region can also be purchased. 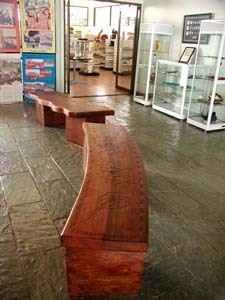 In the future, the Belau National Museum will utilize its collections, in terms of duplication, to make postcards and slides to sell at the shop. 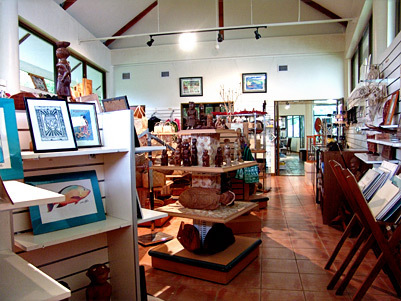 The gift shop will also promote and sell arts and crafts made in other Pacific islands. If you're interested in the Ulekdubs' items below, please don't hesitate to email us and we'll be happy to assist you.